Weather's Not Always a No, No. 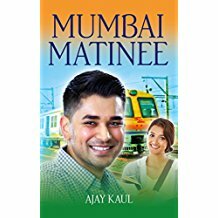 Must a Mystery Have a Murder? I'm currently working on an exciting audio drama entitled LUSTRIAS. Think of a futuristic Lord of the Rings, and you'd be pretty close! A few innocent men and women from Earth are thrust into a world swarming with hungry werewolves, noble elves, and spirited succubi. Desperate men and women fight alongside these amazing creatures as they battle the growing forces of evil, seeking to save their planet and the universe. 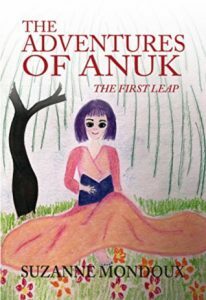 The fantastic adventures of Anuk and her friends. As this amazing adventure story opens we are with Anuk, it is her sixteenth birthday and her life is about to change forever! My book is still on sale for $7.99 on Kindle Fire E-books. Price will return back to original price on June 1st. Sale ends on the last day of May. Promote, Network, and Learn for FREE! Promo Day, the popular online event for people in the writing industry organised by international best selling author and illustrator Jo Linsdell, will take place on Saturday 5th May. Are You Using Your Senses? Here is a list of the 2017 WINNERS in The Wishing Shelf Book Awards. A walk in the park turns into an amazing adventure for mommy & Mikel. 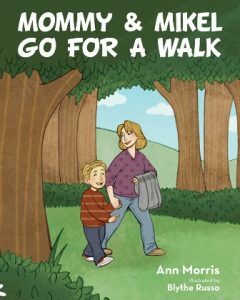 Memories of the lovely times spent by the author with her son Mikel are the inspiration for this wonderful story. Where The Heck is Arahpot?